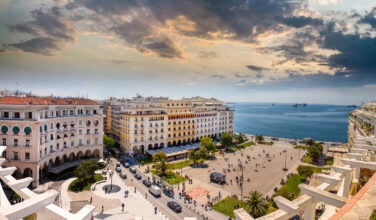 Corfu is one of the more popular of the Greek islands to visit. Located in the Ionian Islands group, it is considered to be part of the Adriatic Sea. 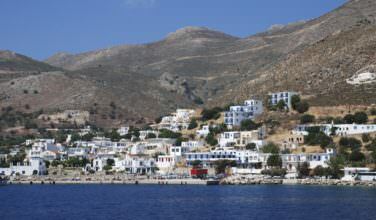 This island has a long history and has been accepting visitors for centuries. It is actually one of those islands that is fairly close to Italy, which is something that has impacted the history of the island itself. 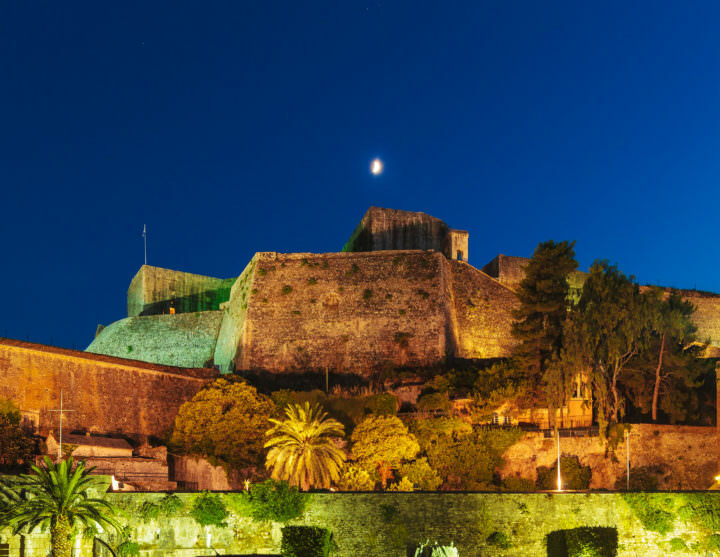 Before you can visit the New Fortress, you need to first make your way to the island of Corfu. You can do this by either taking a flight into the island’s regional airport or taking a ferry. It is also a popular cruise stop, but if you want to enjoy sites like the fortress, you’ll want to spend an extended time here. Cruise visits will never feel long enough!Travelers can choose to take a ferry from several points, including from Venice, Ancor and Bari in Italy in an overnight passage or from the Greek mainland towns of Igoumenitsa and Patra for a quicker passage, usually at around 1.5 hours. Once arriving at the island, it is important to note that the New Fortress is located in Corfu Town, so you’ll need to make your way there. Once there, amblers in the old town, specifically in the area around the marketplace, will have little trouble spotting the New Fortress’ walls and castle dominating the lower skyline above every other building. Head toward the walls to begin exploring this site! Today, it stands as a reminder of the island’s past and since the fortress can be glimpsed from a distance, it seems to bekon people to visit. Also called the Fortress of Saint Mark, this structure was built by the Venetians in the 1500s because of the threat that Turkish, or Ottoman, invaders posed. The construction took a long time and was very expensive for the city-state of Venice, demonstrating how important Corfu was to them. 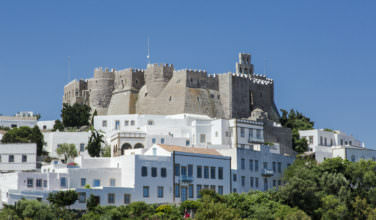 The current buildings that inhabit the complex were built by the British during their brief rule over Corfu in the 1800s. Do you want to spend time at this fortress? Entrance into the complex is free of charge, and a visitor could easily while away an afternoon exploring the ruins and enjoying the commanding view from the top of the fortress. You can certainly stroll here on your own, but it is also a good idea to take a tour if possible, especially if you want to learn more about it. The view from the top provides an ample reward with stunning, panoramic vistas of the Old Harbor and the city below. Corfu Town and the entire island provide many sights to see, from the many rustic villages, beaches and restaurants to the beautiful, olive-grove filled countryside. Corfu is a destination that can inspire one to slow down a bit and to enjoy all that this distinctive and beautiful Greek island has to offer.